So this is the boring bit for everyone except Land Rover lovers; the car. I spent a lot of time deciding on what car we should take, a lot of time, but in the end, having a bit of a soft spot for Land Rovers I chose to go with a Defender 130. Cheap (ish) to buy and for the Carnet. Massive storage area and still space for 4 persons. Massive array of bolt on items for overlanding and camping. Needless to say the final figure was nowhere near seven grand, in fact it was nearer thirty. Those of you reading this and thinking of your own trip need not panic just yet, you don’t need to spend thirty and to be honest I got a bit carried away at times. Coupled with the fact that during the preparation time I was working away a lot most of the work was carried out by Douglass Motors, which meant getting the garage to prepare the car, never a cheap option, and a lot of money could have been saved by doing the long fiddly jobs myself had I the time. The upshot is that I got a professionally prepared Land Rover and Marcus got to send his kids to private school. Water pump, which hadn’t broken yet but I felt sure it would was just toying with me and would throw in the towel as soon as my back was turned. I replaced it before it broke, which I also think sent a strong message to the rest of the engine bay. All the above items were found wanting after a number of ‘trial trips’ which we did last year and this Easter. One of the most important things I would say is to thoroughly test your car before the big off. We would only have covered about 30 miles before tears and tantrums if we hadn’t done this. 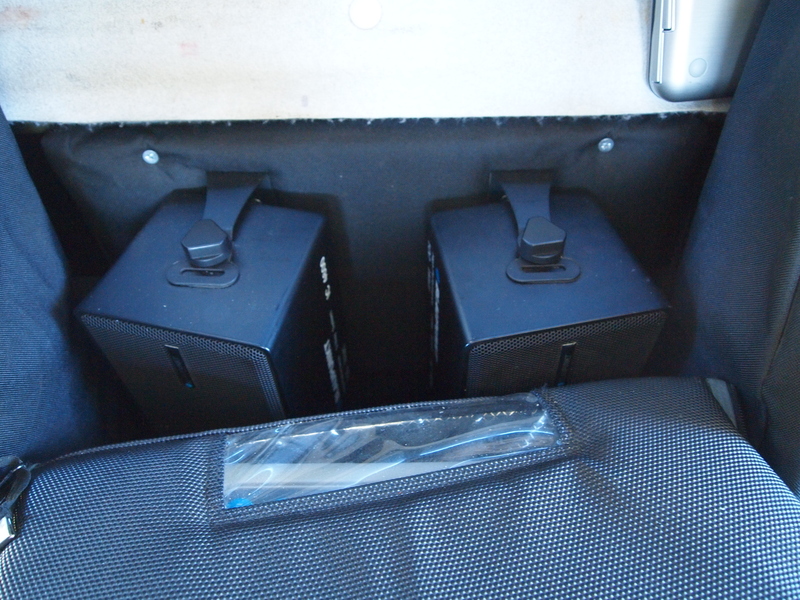 New front seats in Exmoor trim ‘outlast’ fabric. All the engine mods made the car a lot more drivable and it can sit at a steady 70mph all day long. However, if you do this it will only do 20mpg so a more sedate 60mph makes for a quieter ride, fatter wallet and it’s not as terrifying when you have to stop quickly. Here are photos and details of the back of the landrover, exciting stuff. Megan’s Grandfather being handy with wood and a jigsaw fitted the back out for us with standard marine ply. He did an amazing job and we can’t thank him enough. There are two side lockers and the main compartment in the back is shelved to fit 6 boxes. 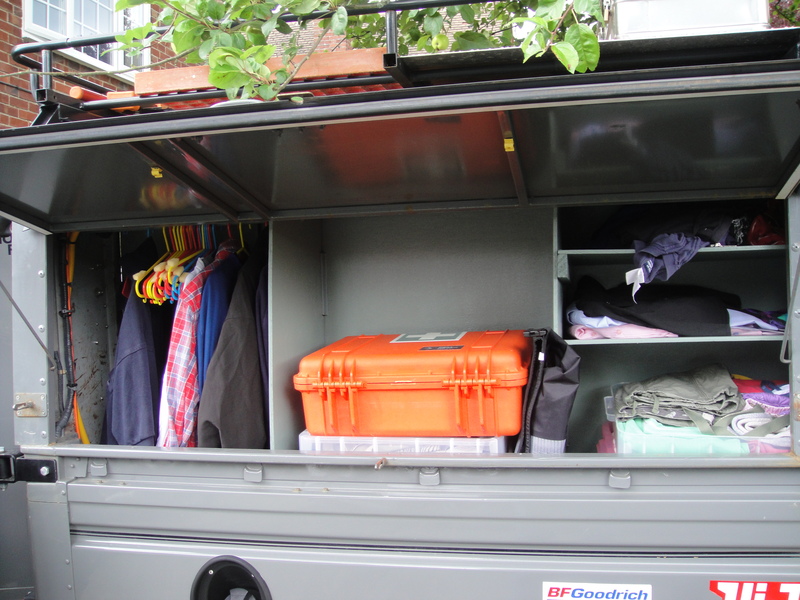 There are also 3 small lockers cut into the side panels which maximise every inch of usable space. Both side panels open, after a bit of mild swearing and tugging, and we had shelving fitted. The photo below is of the kitchen side. We originally consulted an Ikea kitchen designer but ultimately decided against the granite work surface and fitted teak cupboards. I made the little shelf that sticks onto the side of the car, I’m very proud of it and in my mind it is probably the best thing about the car, way better than the netting idea Megan came up with. The next photo is of the clothing side; it has been split into three so we each have a section for clothes and at the end is a hanging section which makes a great use of the space. Kevin McCloud would be proud. Now for the interior of the cab: We moved the original front seats to the back and replaced the rear bench seat with them. 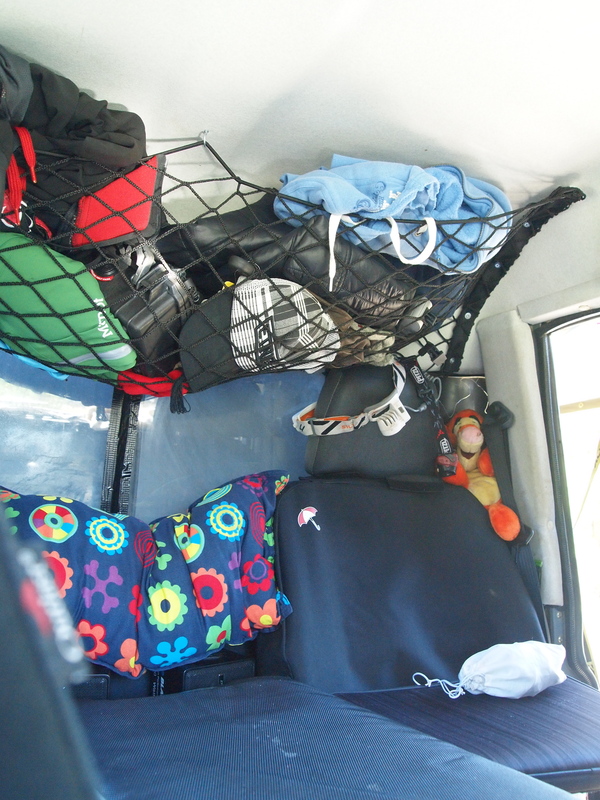 Above the two back seats we put up an elasticated net which works really well and is great for storing hats, coats and jumpers that are used everyday. 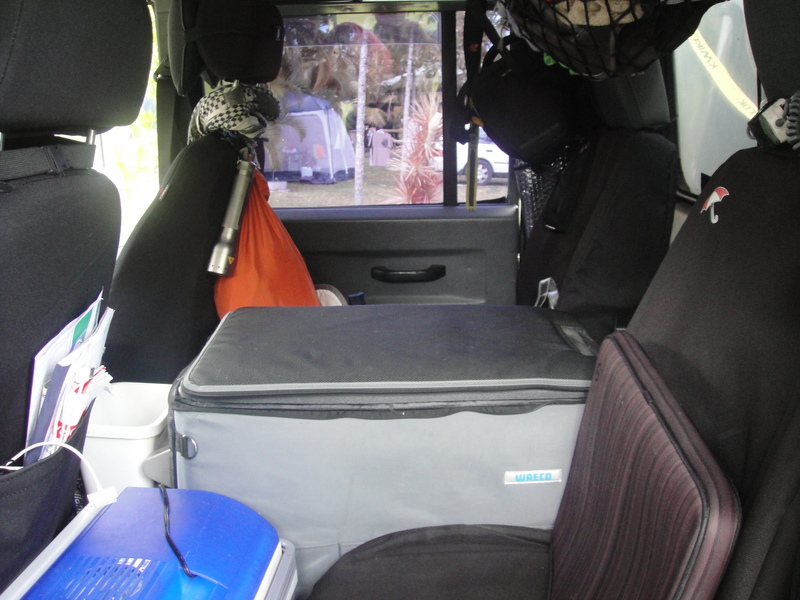 Between the two back seats is our fridge; it’s great in this position as you can get to it whilst driving and it gives anyone in the back an arm rest. Also behind the fridge are a pair of speakers, to give us that surround sound feel! 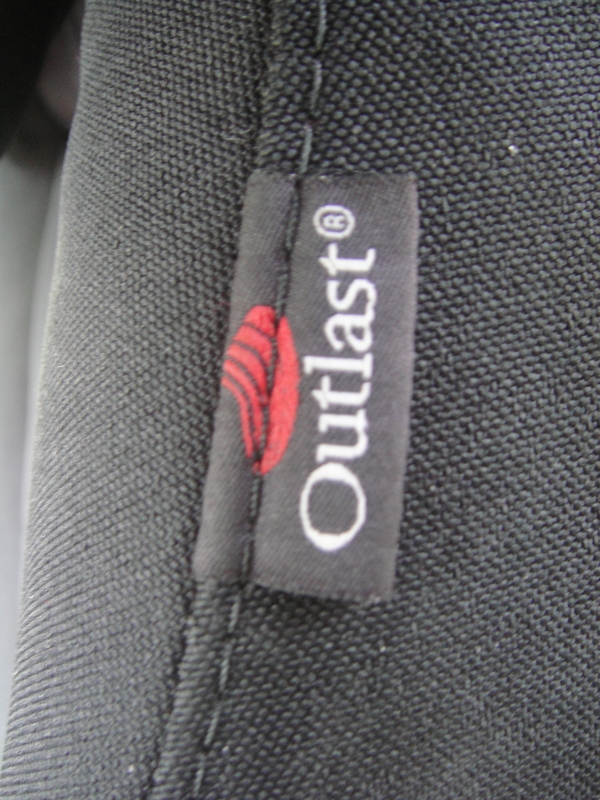 The orginal front seats were replaced with Outlast fabric ones from Exmoor Trim and are excellent. Far more comfortable and you don’t sweat nearly as much as you do in Land Rover vinyl ones. 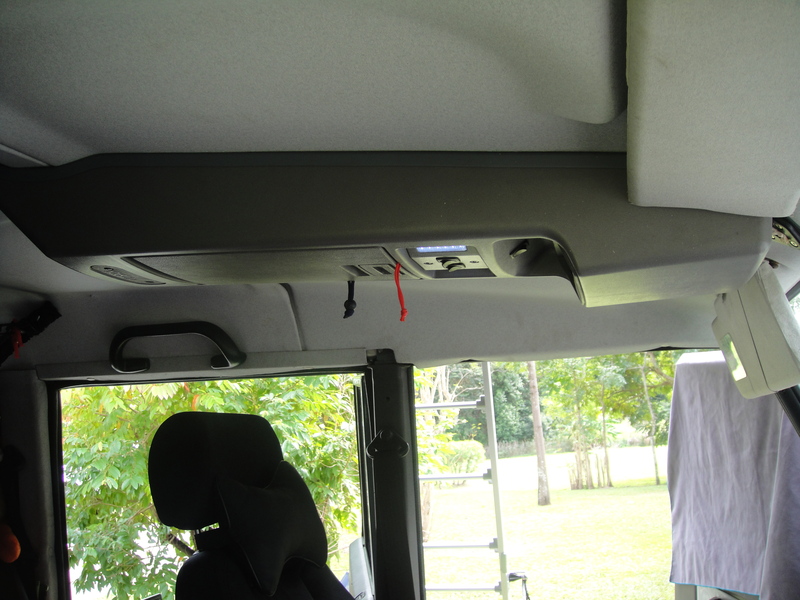 We also fitted an Outback roof consul to the cab. Again, it’s been great as it provides much better light inside the car and also extra storage, and you can never get enough of that. Sweet vehicle indeed. Say, who makes that canopy? Looking at options for my own 130 and I really like this one. Can’t quite take it all in that you have actually started the trip. Exciting stuff. After being actively involved in a very small part of the preparation has been great – looking for “washing machines”, exploring Army surplus stores, trying to impress and come up with that “essential” item you have forgotten (I still think welly boots will be missed somewhere along the trip) and Dad’s skills as “locksmith” being called upon, it has been good fun. Keep in touch – we will be checking the blog constantly as you can guess. Any comforting words from previous trekkers to Oz for the traveller’s Mums and Dads would be appreciated. No worries Mum “Maple”, that Land Rover will take good care of them and if they ever have any need of assistance I know that the thousands of Land Rover enthusiasts around the World will rush in their aid in any part of the World. What did you do to retrofit air conditioning ? What a cracking vehicle!! I’ve been trawling the shows and the internet for inspiration for my 110 overlander and you guys have really done your homework on this truck. You see so many Landy’s in the comics which have had far too much bling added but this looks great and is clearly fit for purpose. Well done guys, have a great trip and stay safe! Saw the article about your trip in LRO. I am soooo jealous….. 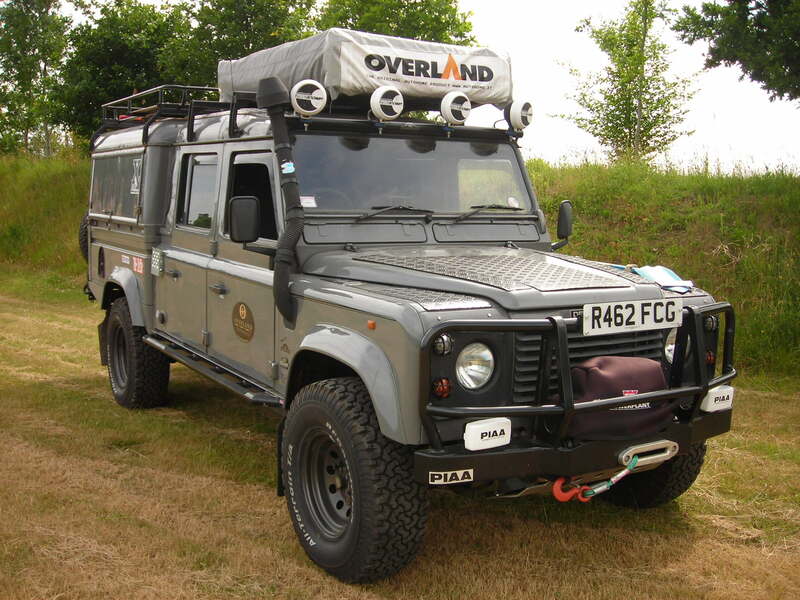 I myself have just before the summer holidays aquired a 110 that is allready overland prepared. It has been to Africa and back with the previous owner. But I can’t see us going on an overland trip any time soon. But we have the car and will make plenty of short trips untill we can go on the big one. Love your choice of destination. Something else then SA. Will be following you. Hope you post plenty of pics. There is only one word to describe your wagon guys: SWEEEEEEEEEET!!!! Jealosy is a bad thing, so I’m going to say that I am extremely envious of your Landy and your trip instead. Enjoy! Hope all is well with you both and your enjoying the experience now it’s for real! 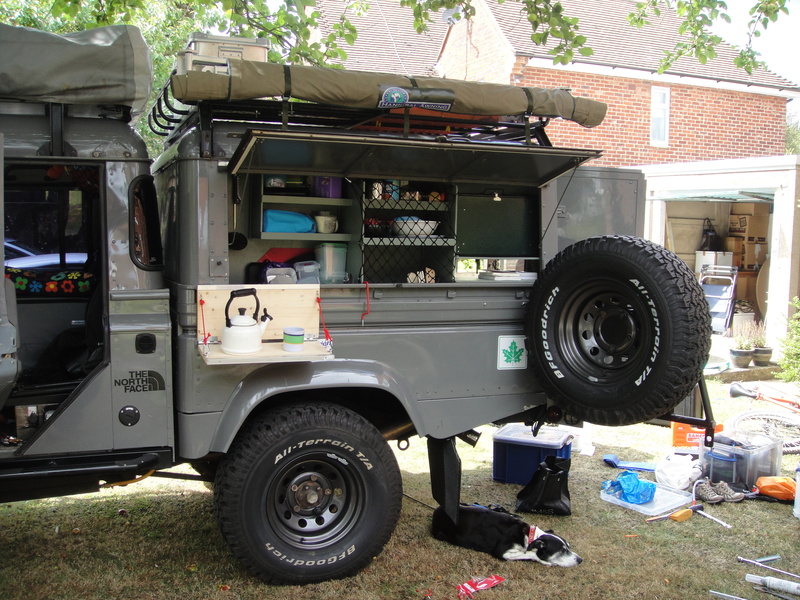 We have just got back from our own European de-bugging trip in our Defender 130 (Winnie). We had a great time and learnt at lot about our Winnie who behaved very well and the equipment that was not so co-operative. We are planning to ship Winnie to Australia in February 2011 (we needed an easier option at our time of life) and will spend 12 months touring Aus. Would you let me know which extended range fuel tanks you have used? This is the only major upgrade still outstanding and I am undecided which one to plum for. You 80 ltr would really do the job. This is probably substantially late but if you are still looking for long range tanks there is a company in australia called “Long Ranger” that make many for the Land Rover. I’m actually looking at getting two for a Defender 130 combined they will give me 200 litres of fuel. What a great beast you have made well done guys, i am sure you are having a great trip. 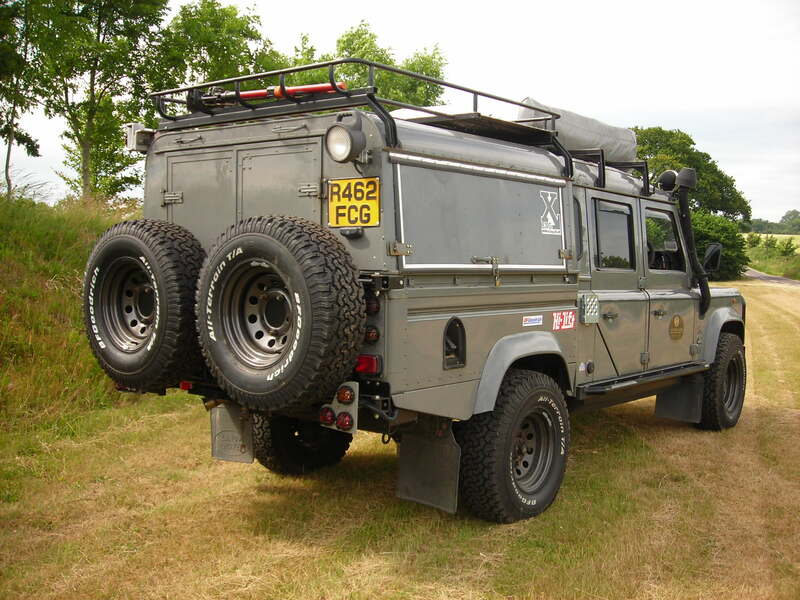 We are heading to West Africa in our Disco 2 in 2012 (some may say strange choice of vehicle!) and just started work on it this week. I wish we had a defender as can do so much more with them like you guys have done, but hey ho its bought now and at least i might save a few quid with what we cant do to ‘The Major!’ You conversion is top notch i love the wardrobe section! hey nice wheels you lot!.my ex southern 130 is three digits off of yours on the reg,she won’t let you down!.good luck…. very nice 130. sorry we missed you on the way through canberra. we did a trip from london to canberra a few years ago with a 1993 pajero – cost us 3000 pounds. so dont let the cost of this beauty put you off. it can be done for a lot less. Like what you done to the Landy! Me an my wife + two kids drove from Stockholm to Cape town last winter, fantastic trip! And now we really got the overland bug 🙂 and are planing for next trip. Thru Africa we had a 110 300 tdi, but are now thinking of getting som more space, 130!! So my question to you is what kind of Canopy that’s mounted on your vehicle, and the dubble swing away wheel carrier, home made or what?? what brand is the rear swing away carrier please?